Ever wish you had a time machine – the kind that could take you back to those golden years where your skin was firmer and smoother? While we’re waiting for that time machine technology, there are a number of treatments designed to help you unlock your youthful appearance again. Perhaps the most unique and powerful of these procedures is platelet-rich plasma therapy, more commonly referred to as PRP therapy. This non-surgical treatment uses an individual’s own platelets to rejuvenate the skin, leading to a firmer, smoother, and younger-looking appearance. So what does PRP therapy look like in action? During the procedure, a medical professional removes a small sample of blood. This blood is then placed into a centrifuge device, which quickly separates your plasma from the blood sample. The plasma is injected into the treatment area. Multiple areas can be treated, including facial skin, breasts, neck, chest, and more. Three to four treatments will be administered, with each treatment being spaced a month from the previous procedure. This schedule can help produce ideal results. Patients may see some swelling and bruising directly after the treatment; however, these symptoms usually dissipate after 24 to 48 hours. You should be able to see results as soon as your first PRP therapy treatment. The results are definitely worth it – PRP therapy results can last anywhere from two to three years. PRP therapy has even been used to add subtle lift to the breasts, which is ideal for patients who want a perkier chest without going through invasive surgery. 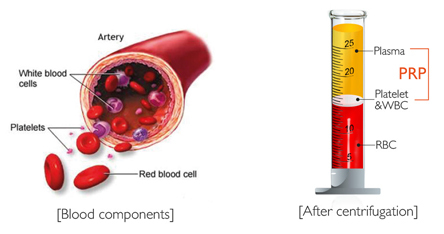 PRP therapy is extremely safe, since the platelets are harnessed from your own body. Want to learn if you’re a candidate for PRP therapy? Contact Wellcare Medical Centre in Kingston – serving the Brisaben metro – today to schedule your PRP therapy consultation.